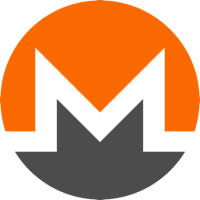 Monero (XMR), an open source digital currency, based and running on the blockchain, a shared public ledger. It is a derivative of bitcoin, but is based on the CryptoNote technology and runs CryptoNight algorithm instead of SHA-256 (the bitcoin algorithm). Monero differs from other cryptocurrencies in that is secure, private and entirely untraceable. Users of the currency have their sending and receiving addresses shielded, along with the transaction amounts, making them impossible to trace. Visit our full monero mining calculator. We don't have any wallets listed for Monero yet, check back soon! We don't have any debit cards listed for Monero (XMR) yet, check back soon!